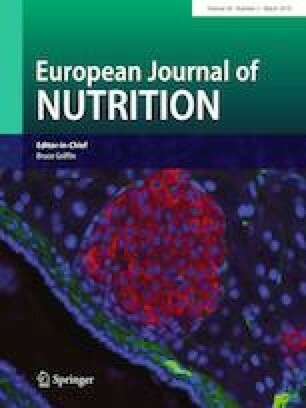 In a 20-week parallel randomised controlled trial, healthy 12–20-month-old children were assigned to: Fortified Milk [n = 45; iodine-fortified (21.1 µg iodine/100 g prepared drink) cow’s milk], or Non-Fortified Milk (n = 90; non-fortified cow’s milk). Food and nutrient intakes were assessed with 3-day weighed food records at baseline, and weeks 4 and 20. Urinary iodine concentration (UIC) was measured at baseline and 20 weeks. At baseline, toddlers’ median milk intake was 429 g/day. There was no evidence that milk intakes changed within or between the groups during the intervention. Toddlers’ baseline geometric mean iodine intake was 46.9 µg/day, and the median UIC of 43 µg/L in the Fortified Milk group and 55 µg/L in the Non-Fortified Milk group indicated moderate and mild iodine deficiency, respectively, with this difference due to chance. During the intervention, iodine intakes increased by 136% (p < 0.001) and UIC increased by 85 µg/L (p < 0.001) in the Fortified Milk group compared to the Non-Fortified Milk group. The 20-week median UIC was 91 µg/L in the Fortified Milk group and 49 µg/L in the Non-Fortified Milk group. Consumption of ≈ 1.7 cups of iodine-fortified toddler milk per day for 20 weeks can increase dietary iodine intakes and UIC in healthy iodine-deficient toddlers. This strategy alone is unlikely to provide sufficient intake to ensure adequate iodine status in toddlers at risk of mild-to-moderate iodine deficiency. A-LMH and ELF conceptualised the study; EAS-G, ARG, A-LMH, ELF, and SAS designed the study; EAS-G collected the data; SAS was responsible for the urinary iodine concentration analysis; TE developed the database of iodine content of foods; EAS-G carried out statistical analyses, with advice from ARG; and EAS-G wrote the manuscript. All authors critically reviewed the manuscript and approved the final version as submitted. Supported by the Health Research Council of New Zealand; Meat and Livestock Australia; Meat and Wool New Zealand; and the University of Otago. The study funders had no role in: study design or conduct; the collection, management, analysis, or interpretation of the data; the preparation, review, or approval of the manuscript; or the decision to submit the manuscript for publication. The trial was approved by the Human Ethics Committee of the University of Otago (03/141) and was performed in accordance with the ethical standards laid down in the 1964 Declaration of Helsinki and its later amendments. Informed written consent was obtained from the parent or legal guardian of each toddler.